IS IT TIME TO REPLACE YOUR OFFICE PHONE SYSTEM? Why would your business replace an old office phone system? For one your company could be deploying new CRM or clinical software. Most modern business applications integrate with PBX systems. 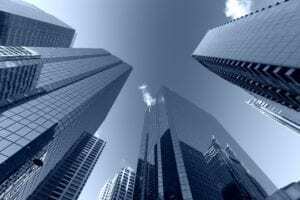 Another popular reason could be your office moving to a new location. Old system would be too expensive to redeploy there. It is quite possible that one day you opened your phone bill and realized that the phone company significantly raised rates on the older TDM technology. Finally your old office phone system suddenly broke and replacement components are no longer available or too expensive. Regardless of the reason, DLS is here to help! DLS Hosted PBX is an great solution for those seeking a replacement office phone system. In development since 2004, it delivers continuously evolving service for modern business communications. We support many of industry-standard SIP phones from Polycom, Cisco, Grandstream, Yealink, SNOM and others. DLS Hosted PBX also allows seamless service transition without the need to replace VoIP handsets to many businesses already operating in the existing SIP environment. Our VoIP service competes with any on-premise PBX system on reliability, call clarity and price-performance. It is likely to reduce your telecommunications costs and bring new productivity options. We connect telecommuters’ homes and distant offices to function in the same Unified Communications environment as your company’s headquarters, making your business flexible. DLS Hosted PBX delivers the most modern features VoIP technology has to offer. 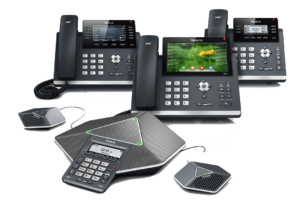 A broad range of easily provisioned SIP handsets offer smartphone-like experience on a big-screen desk IP phones. Along with the mainstream VoIP features such as geographic independence, web/email access to voicemail, fax, web conferencing fully personalized ACD queues, call recording, unlimited auto-attendants our office phone service offers the benefit of call recording and integration with the legal and medical transcription services. Your cloud-based PBX system is supported by a team of experienced VoIP professionals 24 hours a day every day. As word of the storm’s approach drew and concerns mounted in the Florida Keys and mainland Florida, Zoom Tan knew that they couldn’t remain idle. In the worst-case scenario, evacuation orders would be issued, and Zoom Tan’s office headquarters based in Naples, Florida would sustain damage, finding itself without power for who knows how long. They couldn’t leave things to chance. After all, Murphy’s Law tells us that if something can go wrong, it will. And, such was the case, when Hurricane Irma deprived millions of commercial businesses and residential homes of power, with its torrential rain and wind gusts more than 80 mph. Your office phone can be a powerhouse of technological resources at your disposal if used to its fullest potential. For example, voice communications that your law firm engages in may be a good use of a Call Recording feature. This often included feature allows your law firm to document the verbal consent of any person who’s agreed to participate in a recorded call. This provides easy proof of legal compliance with specific local laws and statutes.